Why Have Rules For Life? In my last article, I shared with you my plan to examine some of the rules we each have that guide us in our everyday behavior. These rules aren’t the dogmatic, societal rules imposed on us by others. They’re not rules for machinery or math or cooking or architecture. These are the rules we follow to help us manage our way through society, through a world filled with other people. If we’re going to have rules – indeed, if we’re going to discuss rules – we should establish upfront just what those rules are trying to do. What are their goals? What end result are we aiming for? In short, why should we have rules for life to begin with? This is such a broad consideration that I would like to answer the question by limiting its scope. I would like to limit this to my reason for such rules, which should give you some idea why I as the writer find this topic so essential. It would seem to me that the most important reason for having rules for life is to make life easier to live. It’s that simple. A less complicated life is a life liberated from… well, complications. It is my belief that finding rules that make life less complicated opens up our time and our outlooks to other considerations such as happiness, fulfillment, and empathy. These are difficult qualities to possess if you’re busy simply trying to make your way through life. With this in mind, it becomes easy to see that rules for life should help us interact with our fellow creatures: humans, animals, and otherwise. Rules for life should help untangle some of the messes that come about when you live in a pluralistic world filled with different customs, beliefs, languages, and so on. Rules for life should also, it is hoped, break through the layers of isolation our modern lives often inflict. We want rules that make things better for everyone, everywhere, which can certainly make things less complicated. This is a tall order to fill. Even as I type this, I cannot help but feel acutely aware of the large bite that entails and how difficult it may end up being to chew. But just consider the alternative. Let’s say that you had a differing set of rules for life. Your rules are incredibly complex. They focus on avoiding your fellow creatures, pinpointing the problems in the world but not too address and solve them, and putting up walls between yourself and the world around you. That doesn’t sound too good. In fact, when we look at rules that do that or systems that do that, we don’t see a pretty picture. We end up seeing extremists and bigots, folks who picket funerals, and cynics who believe that nothing can be fixed. And I’m sorry to say that these people are not all that rare. They’re all around us, often popping up on cable news and talk radio. They’re not people we would like to have in our lives because they are walking problem machines, complicating issues rather than solving them. Now, think for a moment about a person you hold dear. Perhaps this person is a spouse or a friend, a parent or a child, a teacher or a student. Would it make your life any easier to complicate things between you or to create a relationship that is easy and works simply? And wouldn’t that sense of ease make you happier, more caring, and more fulfilled? That’s the goal of the best rules for life and will be the goal for this series of articles. This means there will be some issues I stay away from and others I adhere to rather closely. You’ll probably see me sticking with the simplest of things. At least, and at first, I’m certain to try. I suppose one good rule for anyone’s life would be that if your rules stand in the way of your happiness, your fulfillment, or your ability to empathize with others, that could very well be a rule worth setting aside. Why make things more complicated? Author and Playwright, Ken La Salle grew up in Santa Ana, California and has remained in the surrounding area his entire life. He was raised with strong, blue-collar roots, which have given him a progressive and environmentalist view. As a result, you’ll find many of his stories touching those areas both geographically and philosophically. His plays have been seen in theaters across the country and you can find a growing number of books available online. 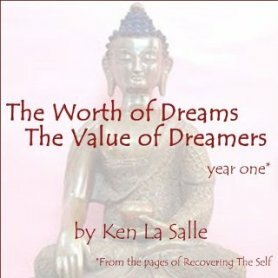 Find out more about Ken on his website at www.kenlasalle.com. Ken La Salle is represented by Loiacono Literary Agency, LLC.